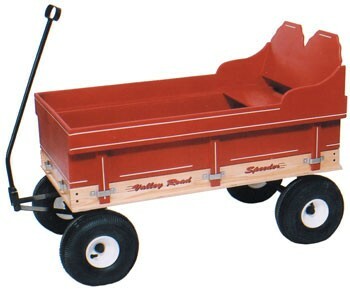 Already have an Amish-made wooden wagon, but thinking about how to make it even more kid-friendly? DurableToys has a variety of products for that very purpose. Need seats and seat belts? The Valley Road 1300 model can be fitted with these clever, comfortable, and classy wooden wagon seats. Get one set or two! And the Valley Road Surry Top--notice the cooler rack too! Want something softer and more colorful than a wooden seat? We now carry cushions that are super comfy and come in a variey of colors and patterns. Take a look at our store website for these and all of our other accessories!